Matching food and wine is one of most difficult and subjective things to get right. Using up the bottle of red with a cheese selection may seem an easy option but is seldom successful. With the variety of cheeses almost matching that of wines a little planning is necessary - hence this Cheese and Wine Shop Cheese and Wine list. If you have a range of cheeses choose a simple inexpensive wine to accompany them. New World reds cope well as do oak-aged Spanish reds and red wines from Southern Italy. Avoid very strong or pungent cheeses though. Azeitao - A Sheep`s milk cheese from just South of Lisbon. Try with a Portuguese red wine. Baby Bel - One of our Beaujolais. Brendon - A strong matured goats cheese from Exmoor. Semi soft with a dense texture and sweet aftertaste. Brillat Savarin - One of or Red Bordeaux. Buxton Blue - A cousin of Blue Stilton. Caerphilly -Wesuggest a crisp dry English wine with this hard cheese. Or try an Albarinho (Portuguese white), a Spanish Red, a Zinfandel or Sauvignon Blanc. Cambembert - at its best when the centre is still hard while the outer is creamy. Quite salty. Go for a red wine here - Cotes d`Castillon or other aged Bordeaux reds. A new world Pinot Noir would also suit. Chaource - One of our fine Chablis or Blanc de Noirs champagne. 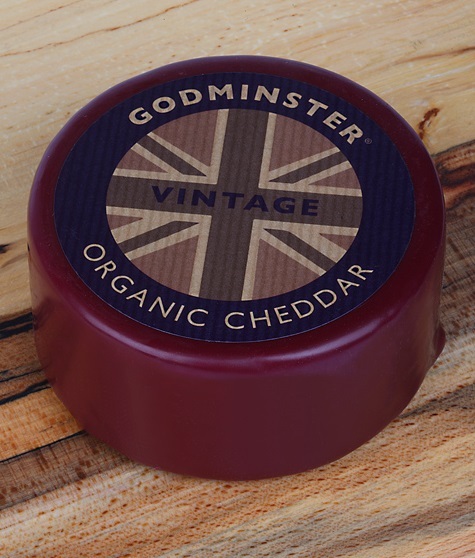 Cheddar - Buy the best you can afford and revel in the flavour combinations with a Sauvignon Blanc for a white or a good claret, Rhone, or Rhone styled wine from California or Australia. Zinfandel is great too. An Argentinian Bonarda makes a tasty, affordable alternative. Try an apple juice for something non-alcoholic. Classically serve a decent ale for a true British taste sensation. "Barolo is a dream combo for many"
Chevre Brie - A goats cheese brie. See either category. Comte - Our organic Grüner Veltliner or a Pinot Noir for a red. Cornish Yarg - at once creamy and crumbly with a tang, go for a good ale. Or, if not on a budget, try our Camel Valley ‘ Cornwall’ Brut. Epoisses - a cheese from Burgundy should be matched with a cheese from the same region - a red or a white will be great. The cheese is washed in Marc and therefore matches well with Marc de Bourgogne. Gouda - a semi-hard cheese from Holland. Definitely red wine country here try a new World Merlot or Zinfandel. Also recommended with one of our Amarone. Livarot - a very strong tasting cheese from Normandy with a heavy moist texture. One of The Cheese and Wine Shops Chardonnays, a Pinot Gris or an Alsace Gewürztraminer. Morbier - This is a mild cheese made in two sections with a thin charcoal layer between. Worked very well with an unoaked Chardonnay. Try also with a our Fleurie or other Beaujolais. Pecorino - Great with a rich Zinfandel or try with a full Italian red, such as an Amarone, or if on a more modest budget, a quality Chianti Classico. Red Leicester - Pick one of the Cheese and Wine Shops choice Riojas or a full and rich Australian Shiraz. Very good with an our ales. Roquefort & Stilton- The classic combination is with a Sauternes, but try also with any botrytis affected wine (Australian Semillon for example), a sweet Jurancon or cheaper sweet wines from anywhere really. Aged tawny port is also delicious. Vintage Portis wasted on it though. Saint Andrews-A supple creamy textured Scottish cheese. Went very well with a Bordeaux white (Sauvignon-Semillon blend) although a straight Sauvignon Blanc would be just as good. Taurus- A rare cows cheese from Somerset. Full flavoured and creamy. Went very well with a Bordeaux white (Sauvignon-Semillon blend). Taleggio- a full-fat soft cheese from Lombardy, Italy. An Italian white wine would be superb or try with a Chianti Riserva. Traditionally matched with Barbaresco. Tornegus- a farm house Caerphilly. Vacherin- a Blanc de Blanc Champagne, an Alsatian Rielsing or a red Beaujolais. · Vermont- Chardonnay, Pinot Noir, Syrah or an off-dry Riesling are suggested. Wensleydale - A sweeter wine needed here like a German Spatlese or a late picked Muscat from Australia. Ideal with Montepulciano d'Abruzzo. White Cheshire– Enjoy with a Riesling. Stilton - often found blended with cranberies for which a champagne, or sparkling wine is recommended. Woolsery- An English Goats cheese, moist, open texture with a distinctive taste with hints of almonds and pinenuts. So, we`d suggest a light white wine like a Pinot Gris, Sauvignon Blanc, Riesling or a Viognier which will stand up well to the Woolsery.